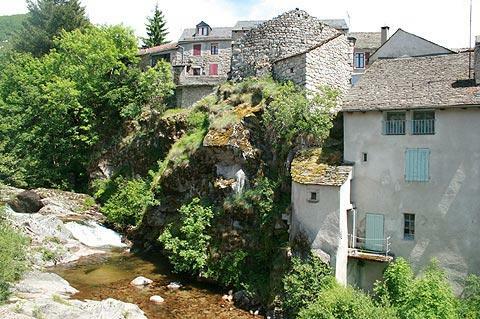 Le Pont-de-Montvert is a pretty granite built village in the Lozère department of the Massif Central, Languedoc-Roussillon. 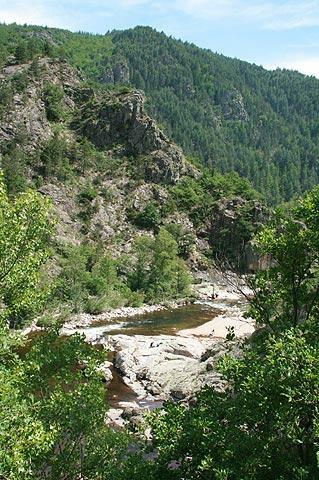 It is situated deep in the heart of the Cevennes National Parc on the banks of the Tarn River. The pleasure of a visit comes from simply strolling through the village and along the river. Although it doesn't take long to explore Le Pont-de-Montvert the magnificent setting in which it is found make it a highly recommended excursion. As you walk through the quiet village today there is little to suggest that Le Pont-de-Montvert could be somewhere a war might start but in fact the War of the Camisards began in Le Pont-de-Montvert in the early 18th century when an abbot called Du Chayla was killed here, starting a war against the protestant population of the region. The 17th century bridge over the Tarn, and the adjacent clock tower, are the historic highlights of the village. The bridge in Le Pont-de-Montvert is well known as one of the places that Robert Louis Stevenson stopped during his famous 'Travels with a donkey' and now forms one of the stopping points along the popular trail that follows his original route. If you are so inclined you can even hire a donkey to accompany you along the route! The cafes and gift shops that line the river side of Le Pont-de-Montvert are in an attractive setting and it is a very pleasant place to spend an hour or two. 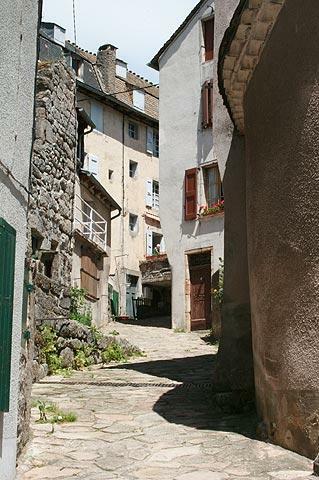 After ambling along the river side, there are also a few narrow streets running up the hill to explore. At the end of the town with a bridge there is also a second smaller bridge over the river Rieumalet that joins with the Tarn here. If you cross this bridge and head a hundred metres up the hill you can take a look at the small church. France This Way comment: Le pont-de-Montvert seems to be the meeting point for various walking and cycling group as well as one of the few villages in the area to have several cafes and small shop, so you will find that it is rather more lively than you might expect for a village in a quiet and isolated position! 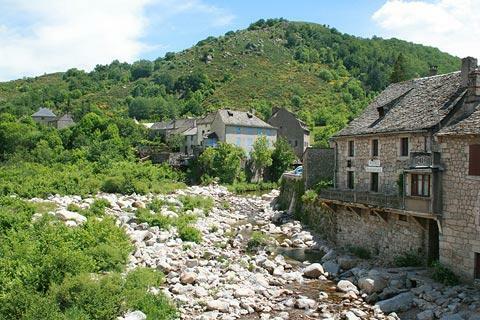 Being at the base of Mont Lozere and in the picturesque Tarn valley the village is a very popular gathering place for hikers and cyclists. 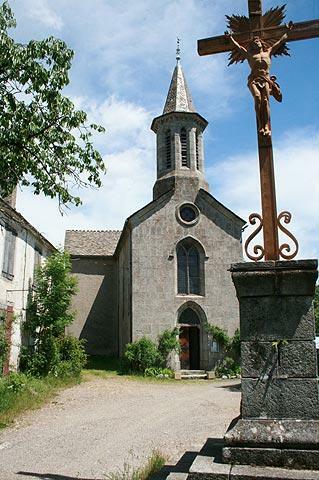 The summit of Mont Lozere itself is an attractive, desolate place (you can get very close to the summit by car and then follow a short trail), while the town of Florac is just 15 kilometres downstream from Le Pont-de-Montvert and is one of our favourite towns in the region.